How can I limit the follow up surveys to survey takers who completed the first study - without the worker needing to follow the link and enter their Worker ID? Can I notify those workers of my follow up survey? Can I set up a follow up survey so that the workers who take that survey do not know why they were selected? 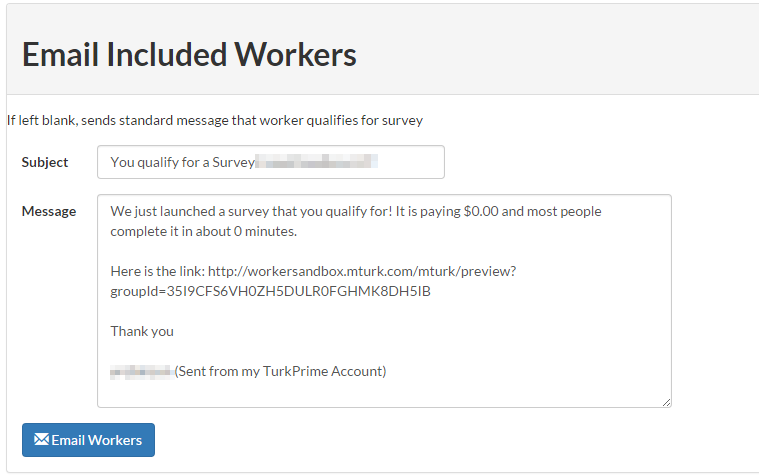 Create your surveys using TurkPrime.com's "Include Workers" feature. When your HIT launches it will have a Qualification Requirement that will limit your HIT to only the Workers you allowed. All other workers will be unqualified from taking your HIT. All the details are handled by TurkPrime and and MTurk. When Workers view available HITs, they will instantly see that they either qualify or don't with no need for them to navigate to your web site and enter their Worker ID or remember that they once took your survey. If you want to run a follow up survey for a survey not run through TurkPrime, you will need to use option 1. 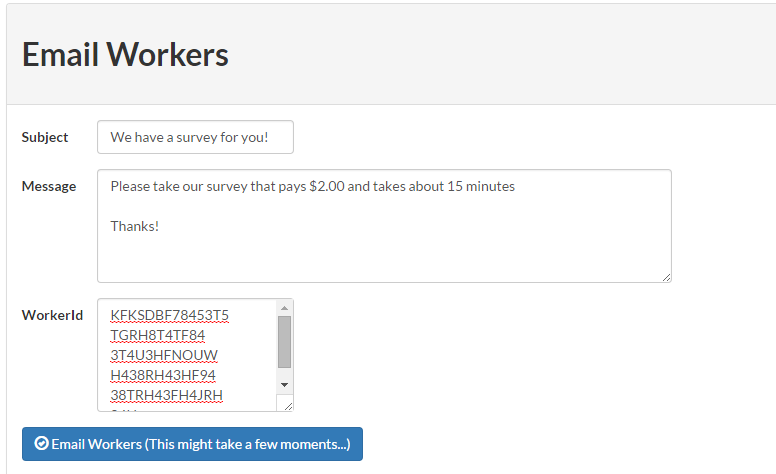 You can download the Worker ID list from Mechanical Turk and then paste them into the field as shown above. If the first survey was run through TurkPrime, option 2 is the recommended approach. Once you launch your HIT and it is running you will see on the Dashboard an option to notify workers. This will give you the opportunity to send all qualified workers an invitation email (via Amazon MTurk). You can craft your message to your taste as shown. Notifications are sent by a TurkPrime background task within 2 minutes after you schedule it. Our experience is that an invitation email for a well paying HIT will speed up HIT participation rate by a factor of 10 times. A HIT that would normally take 10 days to complete will complete in one day! You can also notify workers using the Manage Workers | Email Workers menu. Amazon places restrictions on the Workers that may be included or notified, such that they must have taken a HIT with that Requester in the past. 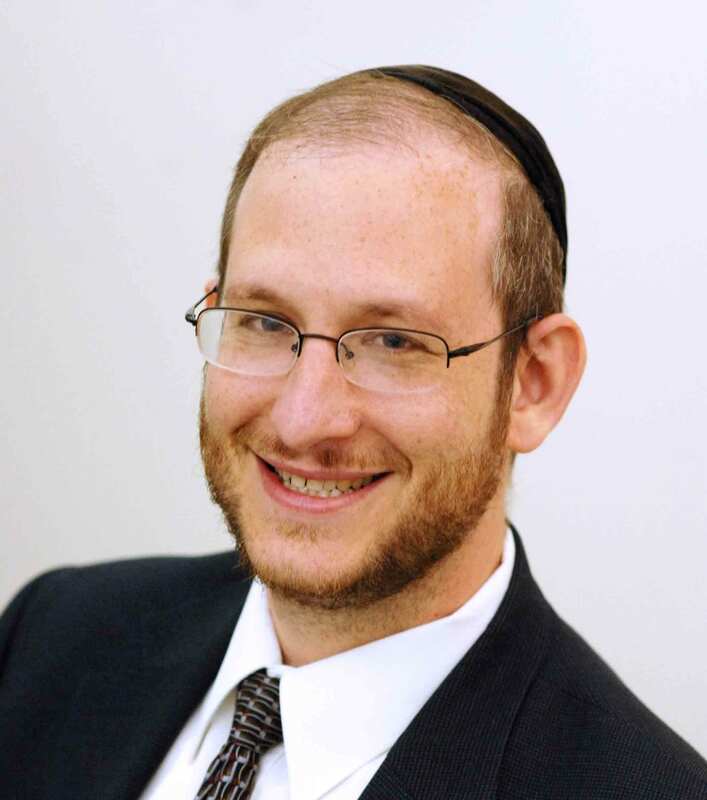 You are unable to notify pre-qualified workers who have never completed a HIT for you.